In 1926, Ducati was founded by 3 brothers Adriano, Marcello, and Bruno Ducati. On that time, they are specialized in components of radio. During the war years, the size of Ducati Company was an increase because they are now switched to electronic military equipment and upgrade their premises and services. They are targeted for allied bombing because they are now working on military equipment. In 1944, they manufacture their first motorcycle called as Cuccicolo. The Cuccicola is designed with small engine and attached with the push-bicycle. After 50 years, Ducati has got some major changes as the time passes. In 1980’s, they introduced 916, 996, and 999 series superbikes that have changed the motorcycle automobile industry. When these bikes are introduced in the market, most of the motorcycle manufacturers stop research and development of their future bikes. After some years Ducati introduces it superbikes that blow the mind of bike lovers. Ducati 1200 is the latest superbike from Ducati which consist of lots of features that makes it better than others. It is the most powerful bike that is made by Ducati Motorcycles. This beast street fighter increases the value of its Ducati line up. With the fast advent in technology and innovation, there are lots of upgrades are made on this latest Ducati superbike. This superbike is better than its predecessor in term of performance and some technology upgrades. This is very popular motorcycle because of its typical styling cues as compared to its predecessor. It is completely designed with aluminum body and trellis frame. It chiseled fuel tank give it a strong and alluring design as compared to its counterpart. This motorcycle is the outcome of many years of research and development. It carbon fenders and 1198 cc engine enables it too touch the top speed of the bike. This super bike has fuel tank capacity of 16.5 liters or 4.36 gallon. This is one the best superbikes on the market as compared to Triumph Speed Triple R, MV Agusta Brutale 1090, BMW S1000R, Aprilia Tuono V4 and many others. Ducati 1200 s. Ducati monster 1200 s are equipped with a powerful engine which delivers 145 bhp and 125 Nm of torque. It riding modes, Ducati traction control, Riding Mode, Wheelie Controller, Anti-lock braking system makes it better than others. 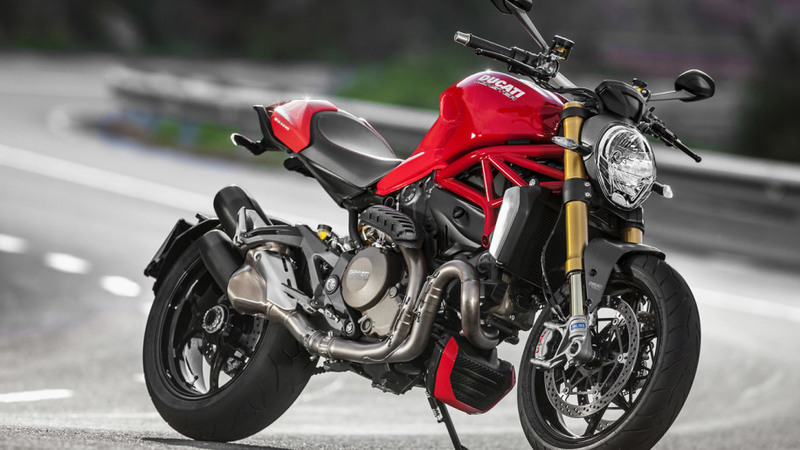 Here below is a key specification of Ducati monster 1200 s superbikes. Front Wheel: 10-spoke light alloy, 3.50 x 17. Safety Equipment: Anti-lock braking system, Ducati traction control, Riding Mode, Wheelie Controller.